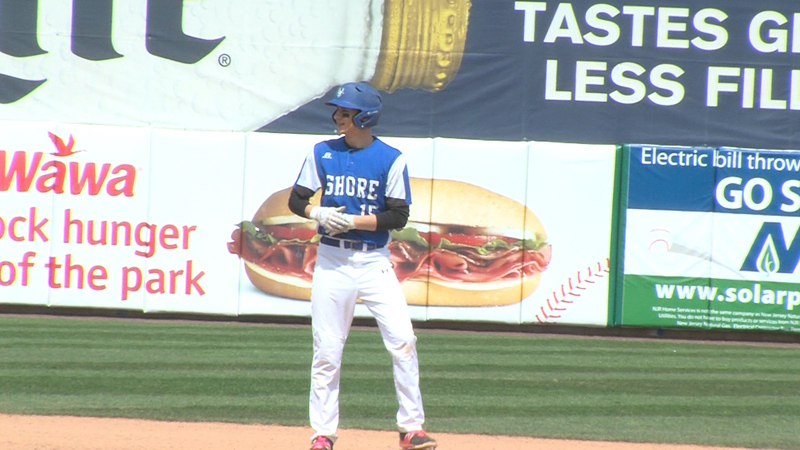 Another big offensive week for Shore diamond stars - vote now for JSZ Game Balls! 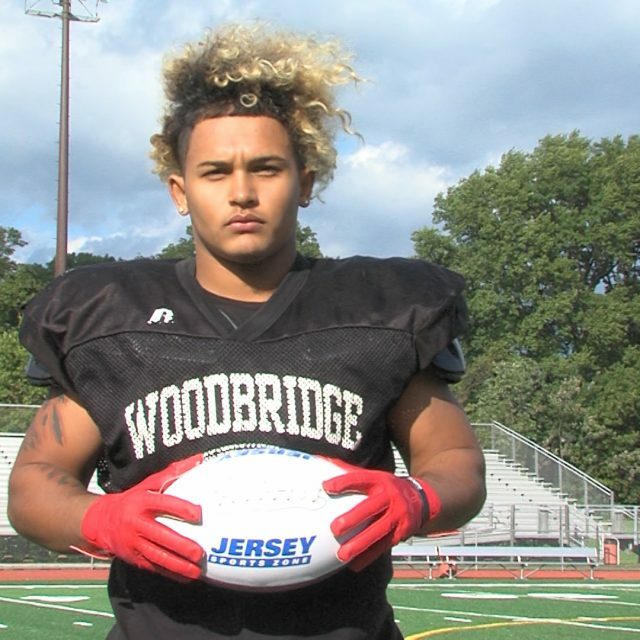 Shore Regional's James LaBruno is one of 20 nominees for this weeks' Monmouth Building Center Game Balls. Cast your vote now through Tuesday at 3:00 pm! 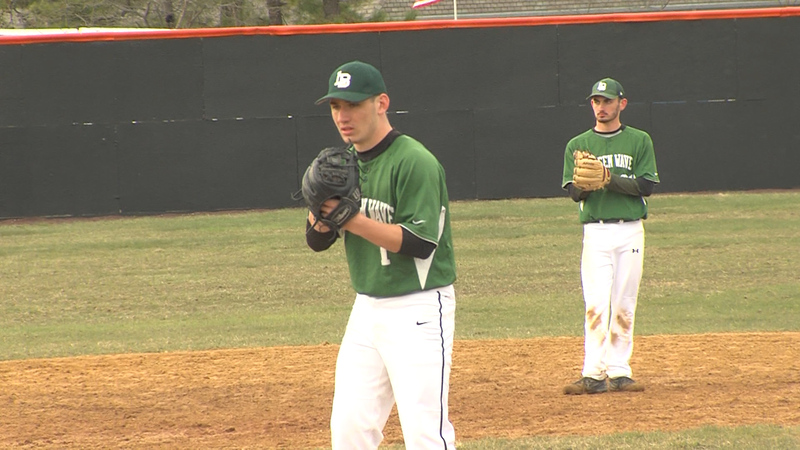 Long Branch 3 Barnegat 0 Matt Mincieli threw six shutout innings and delivered two-run single to cap off a three-run fifth inning to lead the Green Wave to a season-opening win. 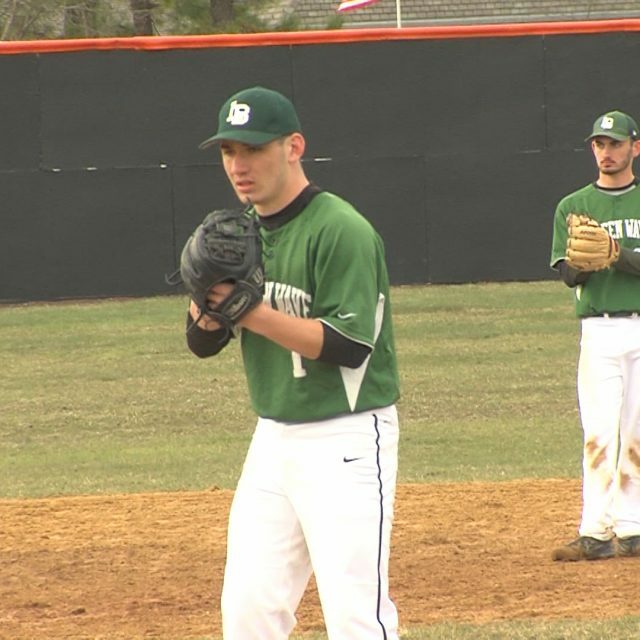 On a day when almost the entire state baseball schedule was wiped out due to snow, the Bengals and Green Wave take the spotlight for Monday baseball. Watch all the highlights here: Great sponsors are the reason JSZ can bring you exciting high school highlights from all around the state. JSZ’s coverage of Barnegat is made possible by BSR Physical Therapy. Rosario Realty is the reason we can bring you great moments from the Long Branch Green Wave all year long. 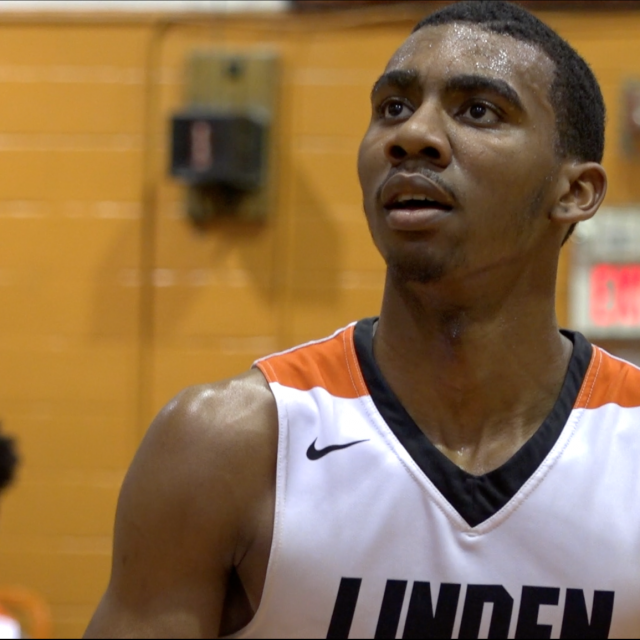 Watch Hoop Highlights from February 13th on JSZ! 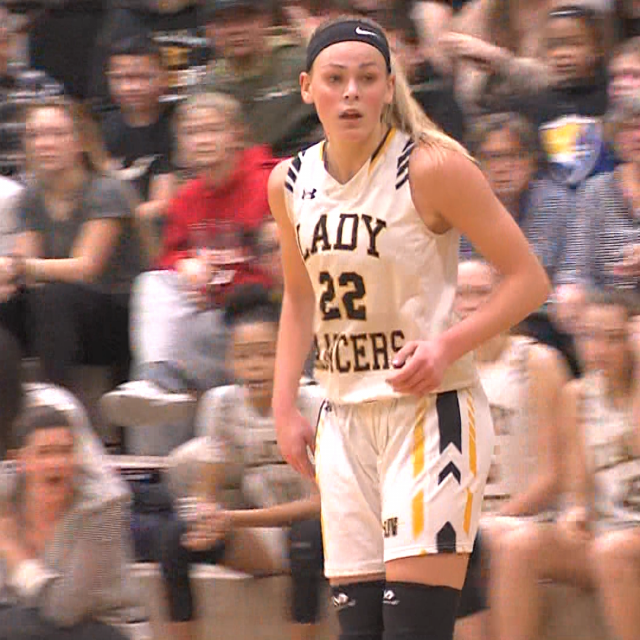 Watch Hoops Highlights from February 8th on JSZ! Thanks to all the great fans of the Shore Conference for voting on Monmouth Building Center Game Balls each week. This week’s winners are from Colts Neck and Barnegat. We had two great presentations – check them out! Take Our Poll Take Our Poll Monmouth Building Center in Shrewsbury has been honoring Shore Conference athletes for the past four years. Thanks to the team at Monmouth Building Center for giving us the chance to honor great Shore kids in football, basketball, baseball and softball. 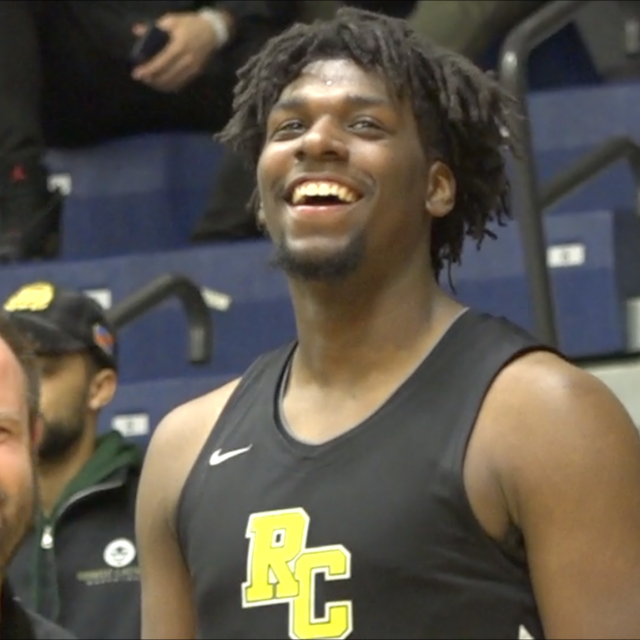 Roselle Catholic – 75 Ranney School – 49 LSU Bound Naz Reid posted a double-double 14 points, 10 rebounds, and scored the 1,000th point of his high school career on Wednesday night at The Jersey Shore Challenge. Ithiel Horton led No. 1 Roselle Catholic with 19 points, and Kahlil Whitney added 17 as the top ranked Lions came away with a 75-49 win over The Ranney School, who was without starters Scottie Lewis (ankle) and Alex Klatsky (concussion). 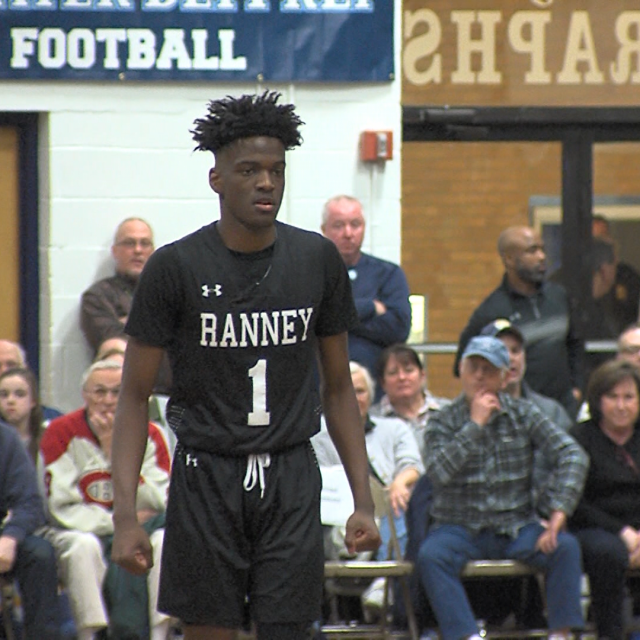 Watch Highlights of Roselle Catholic vs Ranney below! 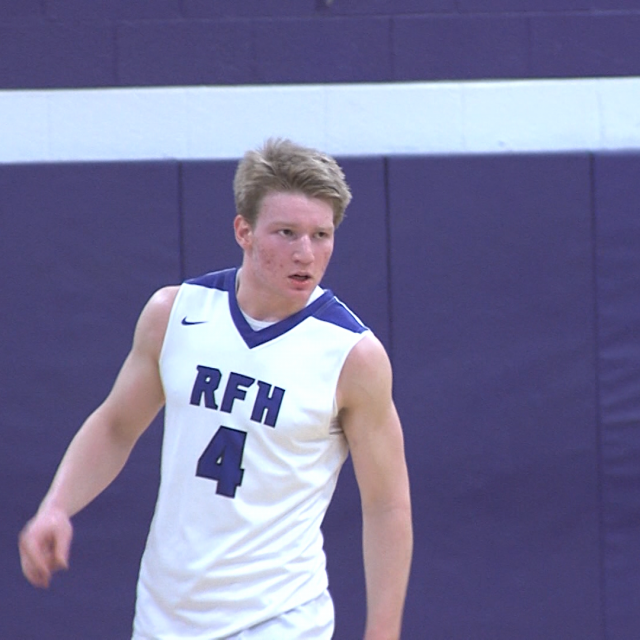 Rumson-Fair Haven 47 Red Bank Catholic 42 Sophomore Phillip Wheeler scored 11 points highlighted by a pair of thunderous dunks as RFH improved to 14-1 on the season. Six RFH players scored at least six points. RBC was led by Charlie Gordinier’s 11. 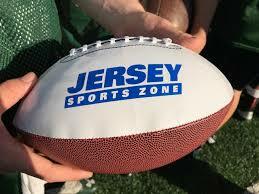 JSZ has the highlights from Brookdale Community College at the Jersey Shore Challenge: Jersey Sports Zone’s coverage of Red Bank Catholic is made possible by Playa Bowls of Red Bank. ServPro of Eatontown/Long Branch is the reason we can bring you great RFH action all year long. Roselle Catholic 52 Rumson-Fair Haven 46 – Girls Taniya Hanner had 20 points and 11 rebounds to pace Roselle Catholic to a 52-46 upset win over #13 Rumson-Fair Haven at the Jersey Shore Challenge at Brookdale Community College. The Lions raced out to a 31-19 lead and got the state’s leading scorer, Tori Hyduke, in foul trouble with three fouls in the first half. But Hyduke would get going by scoring all 12 of RFH’s points in the third quarter. The Bulldogs got within three points in the fourth quarter but were never able to pull even. 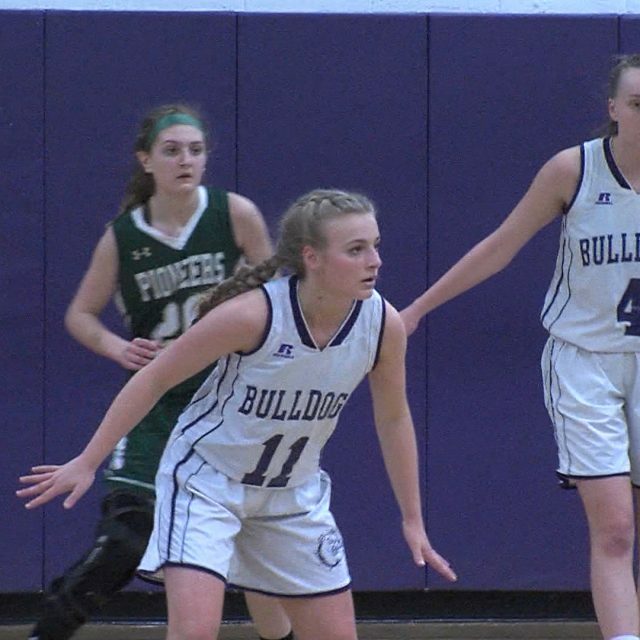 Watch the highlights of the start of a big day for Roselle Catholic in Lincroft: Jersey Sports Zone’s coverage of Rumson-Fair Haven is made possible by ServPro of Eatontown/Long Branch South River 61 Dunellen 37 – Girls Wednesday’s Greater Middlesex Conference matchup between Dunellen and South River was headlined by the impressive play of Ashley Fisher who scored 20 points and 16 rebounds. She helped South River take a 15 point lead going into halftime. 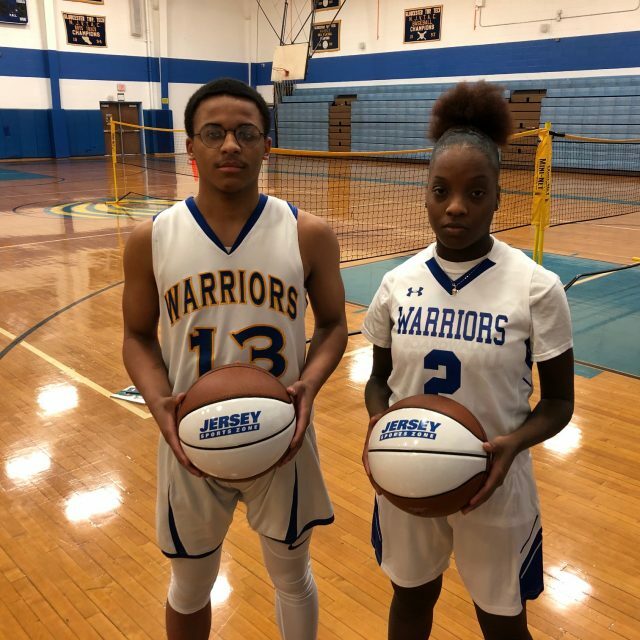 Fisher wasn’t alone though her counterpart Tara Beachum put on a dazzling 16 point performance as the duo helped lead South River to a 61-37 victory over the Destroyers. Rams are now 12-6 on the year and are sitting in the three spot of the standings for their conference. Watch the highlights now: Thank you to Campozino Restaurant for sponsoring our South River coverage! Barnegat 58 Middletown South 49 Alex Grogan led a balanced Barnegat scoring attack with 14 points and the Bengals used a 19-8 fourth quarter to score a quality road win. Cam Lenhard led all scorers with 15 points and his hot streak from three-point land in the third quarter helped Middletown South build a four-point advantage. 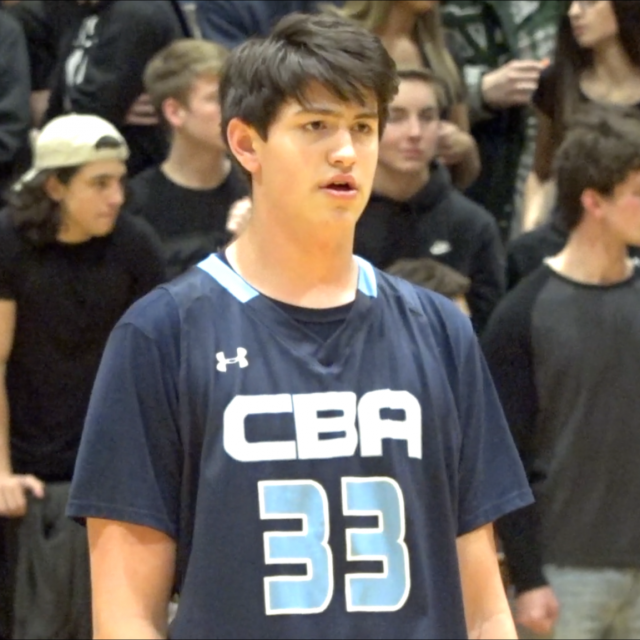 Carson Francisco scored 13, Sean Morris added 10 and Mike Revello had 9 including a critical three-pointer in the final two minutes. Barnegat has now won 11 of its last 13 games and stands at 12-5 on the season. JSZ has highlights from a great back and forth game in Middletown: Thanks to Prown’s Windows & Doors in Middletown for allowing us to bring you great coverage of Middletown South sports all year long. JSZ’s coverage of Barnegat Basketball is made possible by BSR Physical Therapy Carson Francisco wins this week’s JSZ Shore Boys Game Ball! Following the Bengals road win at Middletown South, we presented Carson Francisco with this week’s Monmouth Building Center Game Ball. Thanks to everyone in Barnegat for voting! to Monmouth Building Center has been supporting athletes on the Jersey Shore for the past four years. 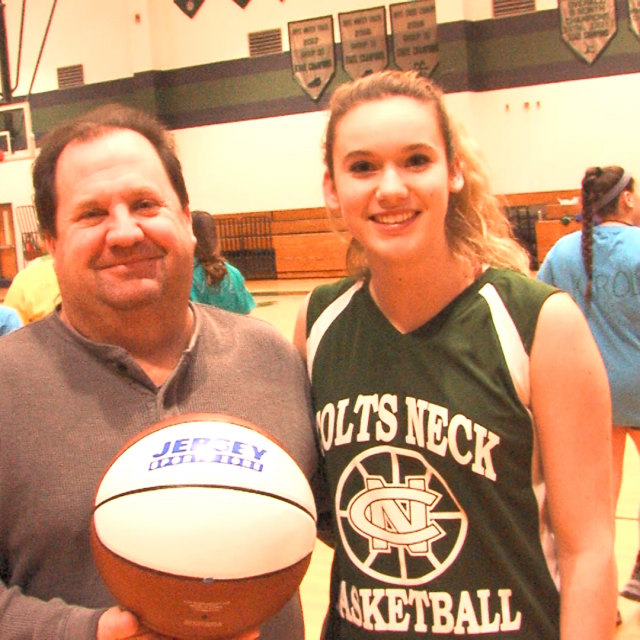 Coming up on Friday, we’ll present a Monmouth Building Center Game Ball to Colts Neck’s Camryn Foltz. 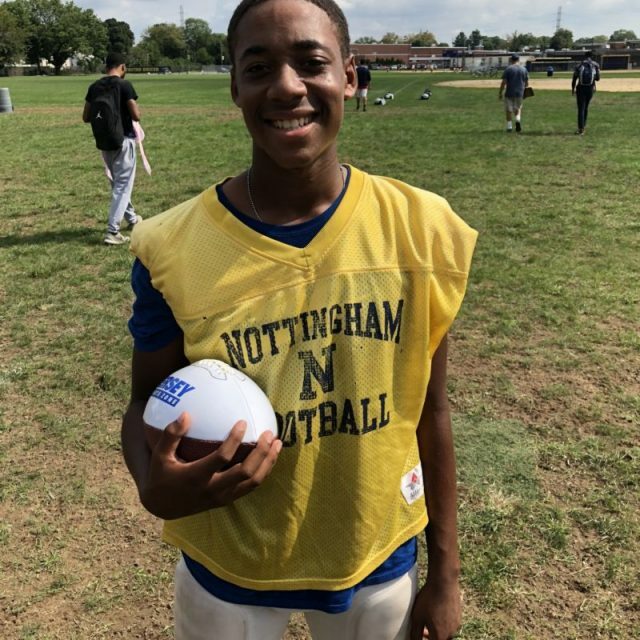 Vote for Monmouth Building Center Game Balls! Each week during basketball season, we’ll have 10 nominees for boys and girls basketball top performers from around the Shore Conference. Cast your votes through Tuesday at 3:00 pm. The winners will get a visit from JSZ cameras with a Game Ball presentation. 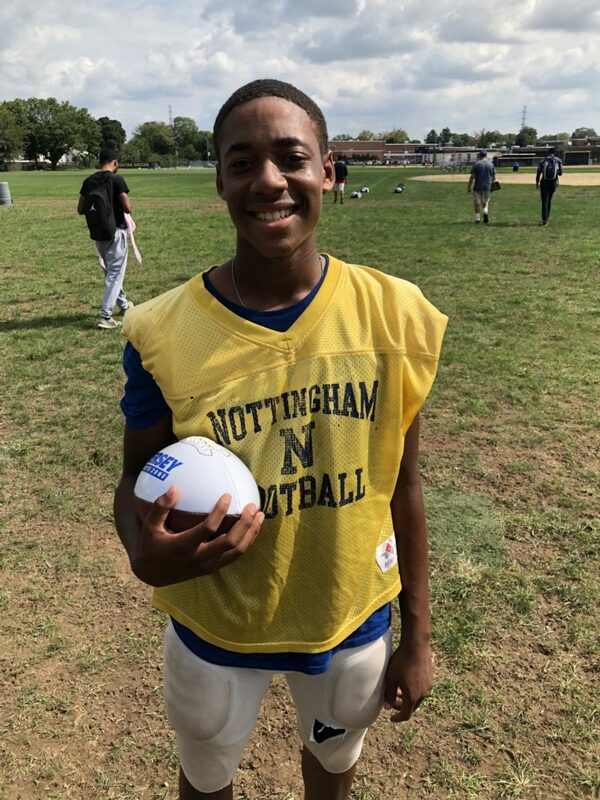 Coaches and fans if you have a Game Ball nominee, just email rich@jerseysportszone.com Take Our Poll Take Our Poll Last week’s Monmouth Building Center Game Ball Winners Sajada Bonner, Saint John Vianney and Alex Ratner, Marlboro – thanks to everyone who voted! Monmouth Building Center in Shrewsbury has been honoring Shore Conference athletes for the past four years. . Thanks to the team at Monmouth Building Center for giving us the chance to honor great Shore kids in football, basketball, baseball and softball. 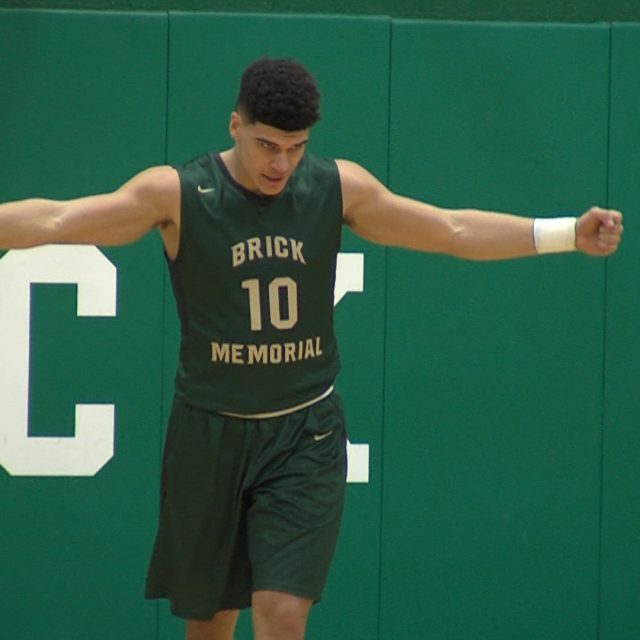 Summit – 65 New Providence – 57 The Summit Hilltoppers improved to 10-2 on the season after traveling to New Providence High School and coming away with a hard fought 65-57 win over the Pioneers (10-3). Malcolm Sidebottom was huge down the stretch for Summit scoring 9 late points to secure the victory. Sean Dillon had 18 points and 4 steals for New Providence in the loss. 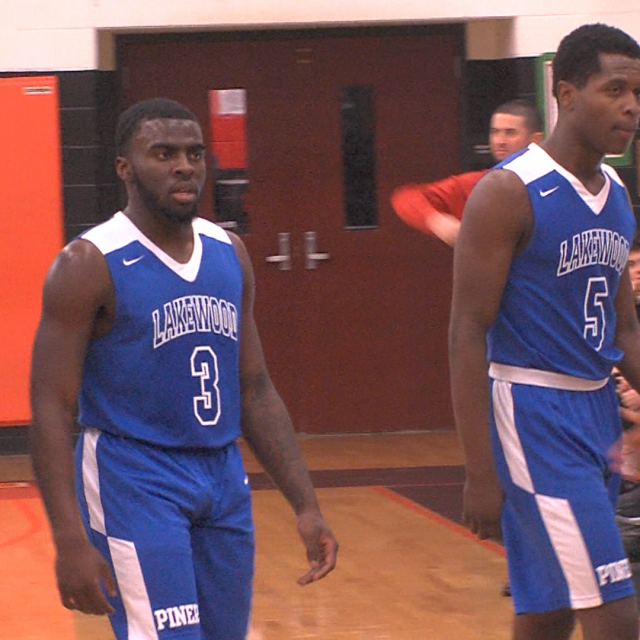 Watch Highlights of Summit vs New Providence below! Sponsor Shout Out! SpecialThanks to Equinox Fitness Clubs for allowing JSZ to bring you coverage of Summit High School Athletics! Watchung Hills 63 Morristown 52 Both of these teams teams came into this game with a 10-1 record and similar game plans; however, it was Watchung Hills that improved to 11-1. Senior guard, Julia Cunningham, had 19 points, 7 rebounds, and 7 steals tonight. Cunningham was the team’s leading scorer despite the fact she foul out of the game with 3 minutes left to play. Check out her outstanding performance and post-game interview, along with the rest of the Lady Warriors, now: Lakewood 55 Barnegat 51 The Piners weathered the storm of a furious 4th quarter comeback by the Bengals and held on to sweep their Shore Conference “B” South rival. Khari Jenkins led the Piners with 16 points including two free throws in the final seconds to preserve the victory. Mike Revello led all scorers with 17. Barnegat trailed by 16 late in the third, but battled back and got as close as two points. 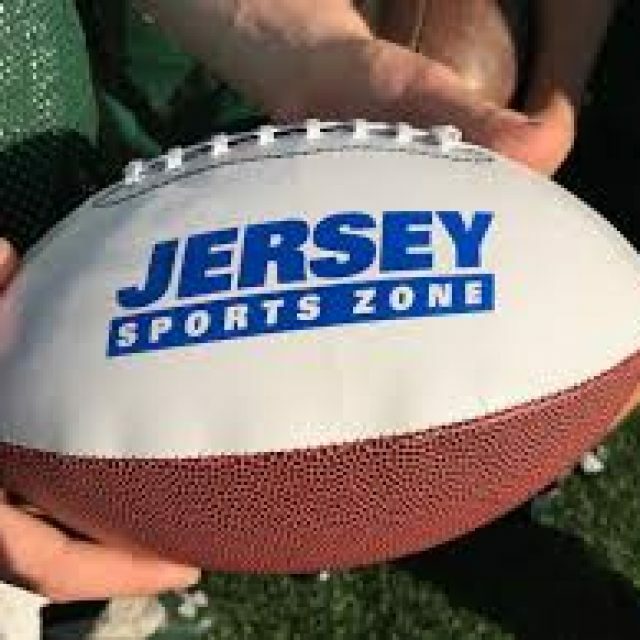 JSZ has the highlights of a great game from Ocean County: JSZ’s Lakewood coverage is made possible by Michael I. Inzelbuch and Barnegat coverage on Jersey Sports Zone is brought to you by BSR Physical Therapy No. 8 Saddle River Day School 90 No. 13 Notre Dame 56 One of the most anticipated games of the week was the Top 20 showdown between No. 8 Saddle River Day and No. 13 Notre Dame. 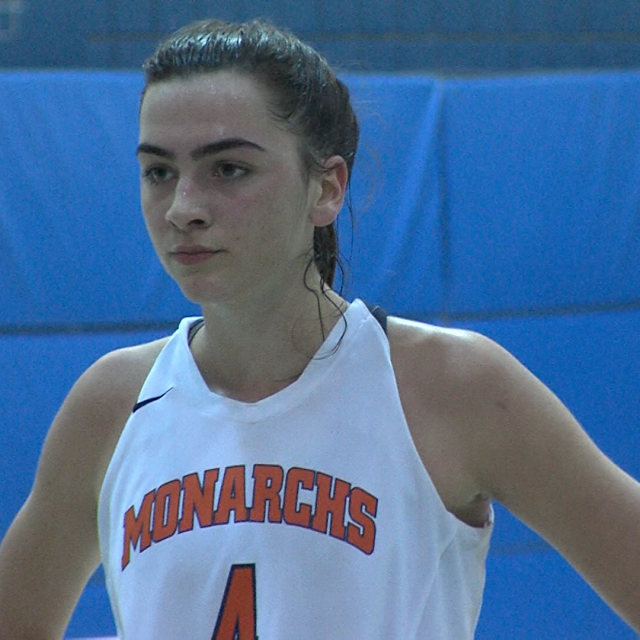 Most expected a tight battle, but top NJ recruit Michelle Sidor helped the Rebels pull away in dominating fashion thanks to her 32 point performance. Sidor is expected to collect her 2,000th point in her next two upcoming games. Watch the highlights now: Sponsor! Thanks to Princeton Orthpaedic Associates for sponsoring our Notre Dame coverage on JSZ! More games from around the state coming soon to JSZ!!! Vote for Monmouth Building Center Game Balls! Each week during basketball season, we’ll have 10 nominees for boys and girls basketball top performers from around the Shore Conference. Cast your votes through Tuesday at 3:00 pm. The winners will get a visit from JSZ cameras with a Game Ball presentation. Coaches and fans if you have a Game Ball nominee, just email rich@jerseysportszone.com Take Our Poll Take Our Poll Monmouth Building Center in Shrewsbury has been honoring Shore Conference athletes for the past four years. . Thanks to the team at Monmouth Building Center for giving us the chance to honor great Shore kids in football, basketball, baseball and softball. The Shore Conference saw four new members of the 1000 point club, two on the boys side and two outstanding girls. They are among the names up for this week’s Monmouth Building Center Game Ball. Each week during basketball season, we’ll have 10 nominees for boys and girls basketball top performers from around the Shore Conference. Cast your votes through Tuesday at 3:00 pm. The winners will get a visit from JSZ cameras with a Game Ball presentation. Coaches and fans if you have a Game Ball nominee, just email rich@jerseysportszone.com Take Our Poll Take Our Poll Monmouth Building Center in Shrewsbury has been honoring Shore Conference athletes for the past four years. . Thanks to the team at Monmouth Building Center for giving us the chance to honor great Shore kids in football, basketball, baseball and softball. JSZ brings you high school hoops from around the state. We’ll be posting our games throughout the night. Thanks for supporting Jersey Sports Zone! Barnegat 54 Raritan 37 The backcourt of Brendan Revello and Carson Francisco combined for 35 points as the Bengals led wire to wire for a road win. Revello had 15 in the first half and 18 to lead the way while Francisco added 13 of his 17 in the second half. Barnegat improves to 3-3 on the season. 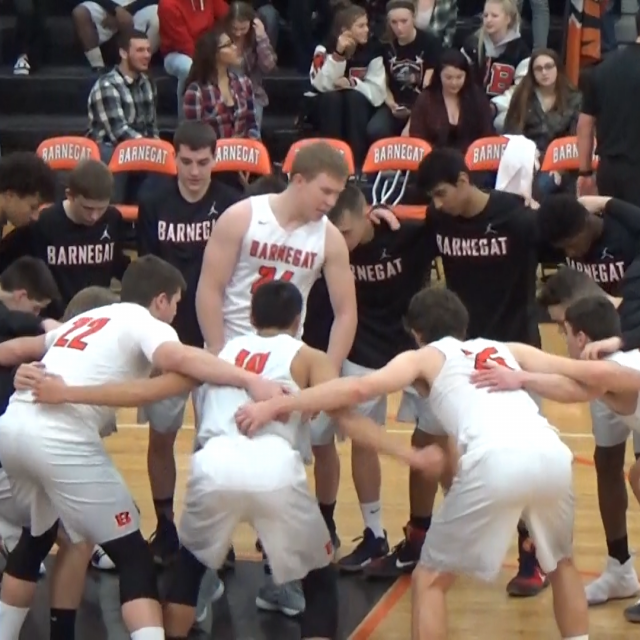 Watch the highlights from Tuesday night in the Shore Conference from Hazlet: Jersey Sports Zone’s coverage of Barnegat basketball is being brought to you by BSR Physical Therapy. 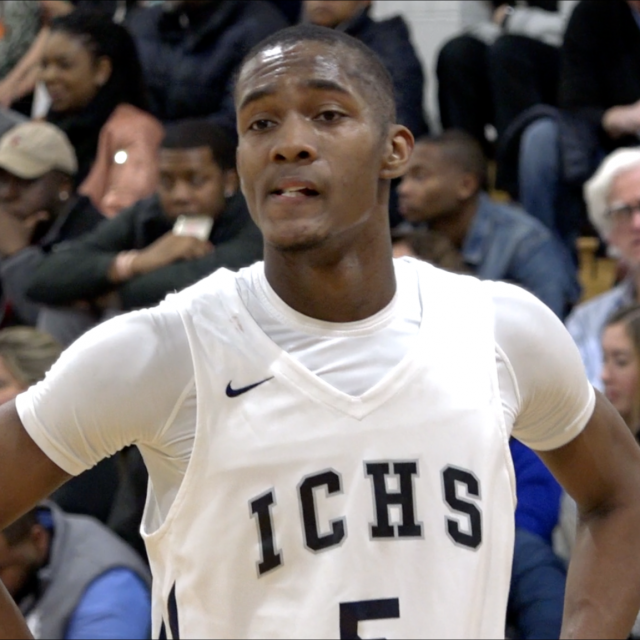 We bring you highlights and features from the Raritan Rockets thanks to BCB Bayhsore-Your Community Bank Hudson Catholic-72 North Bergen 58 Given the score Tuesday’s matchup between No.1 ranked Hudson Catholic and North Bergen may have seem like another day at the office for the Hawks, but it was anything but that. Although Hudson Catholic led for most of the game the Bruins were able to hang with the best team in the state as they never fell behind more than 10. 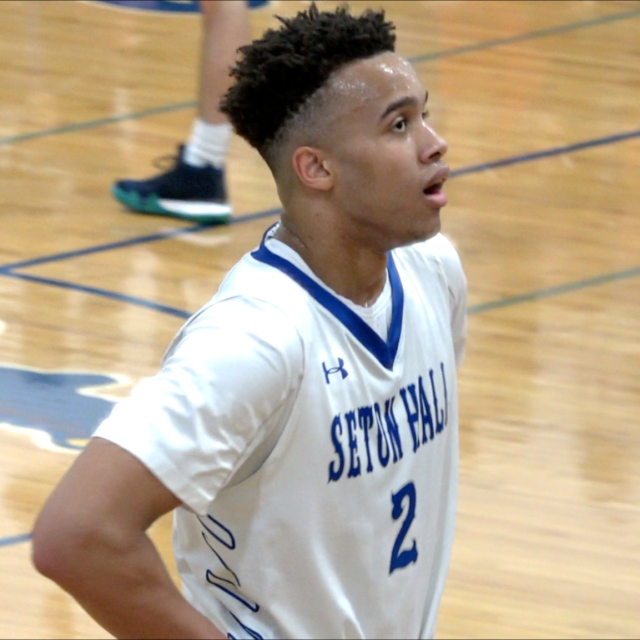 With highly recruited PG Jahvon Quinerly sitting the first half due to an off the court incident it would be Luther Muhammad and Shane Dezonie who stepped up to help lead Hudson Catholic to a 72-58 victory following two losses over Holiday break to out of state opponents. JSZ has all the highlights: 2018 Eric Legrand Classic Eric LeGrand, the former Rutgers player who was paralyzed during an on field collision, has become an inspirational figure throughout the sporting world and beyond during his journey to one day walk again. 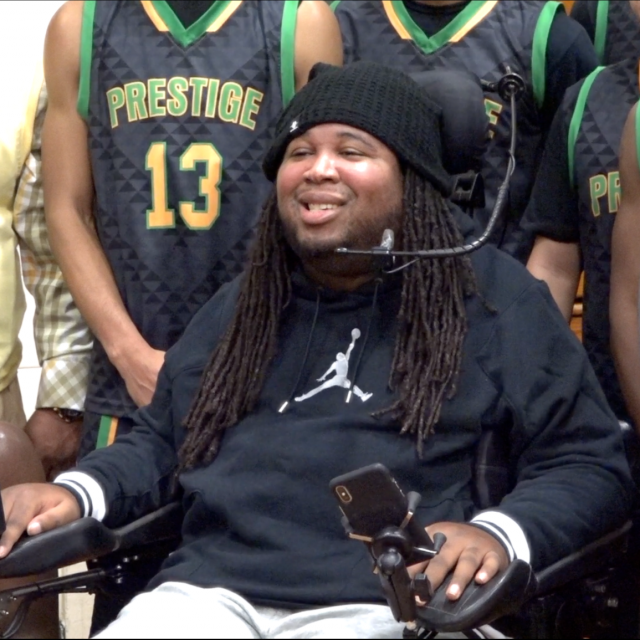 The Eric LeGrand Classic, a basketball showcase hosted by Roselle Catholic, aims to raise money for Eric’s foundation, the Team LeGrand of the Christopher & Dana Reeve Foundation. Patrick School – 89 Olympus Prep – 52 The defending TOC Champion Celtics of Patrick School had a dominating 37 point win over Olympus Prep at the Eric Legrand Classic. Alejandro Vasquez led the Celtics with 22 points in the win. Watch Highlights of Patrick School vs Olympus below! 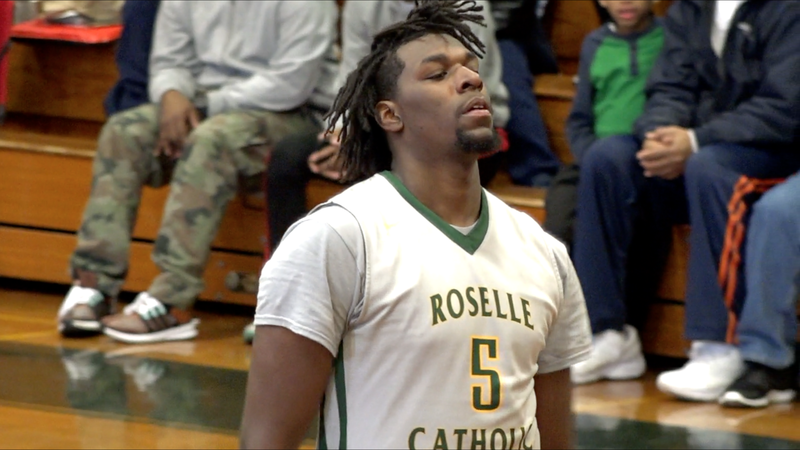 Roselle Catholic – 66 Prestige Prep – 49 Nat Reid and Khalil Whitney led the way, as Roselle Catholic cruised to a 66-49 win over Prestige Prep on their home court. 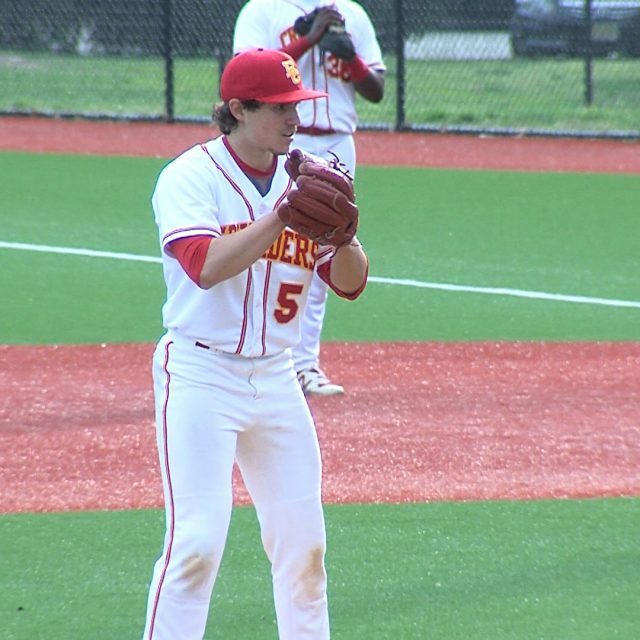 The game was the nightcap of the 2018 Eric LeGrand Showcase. With Eric sitting sidelines taking in all the action, he was highly impressed by some of the best basketball talent New Jersey has to offer. 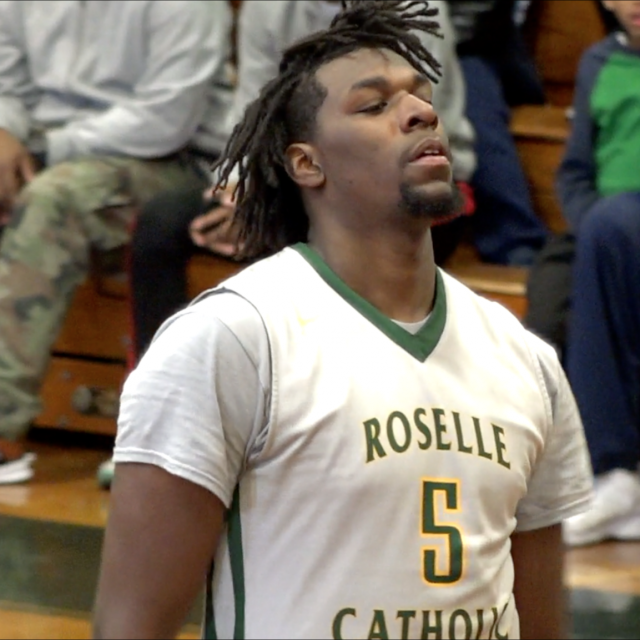 Watch highlights of Roselle Catholic vs Prestige Prep, and post game interview with Eric LeGrand below! Thursday Night Football in the Zone! Vote now for Spring Plays of the Year!